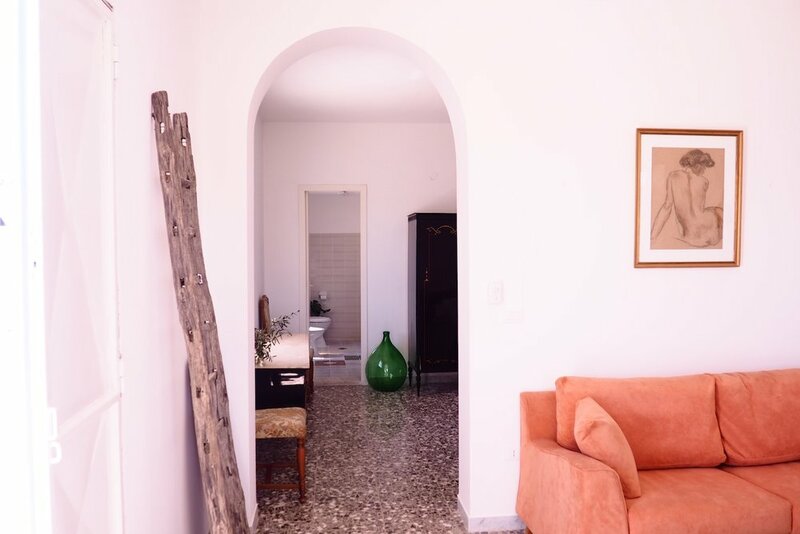 Our beautiful country villa is perched on top of a hill, surrounded by olive groves and fruit trees in the middle of the Itria Valley. Our private road offers the tranquility of southern Italy’s country side without being too far off the beaten path. 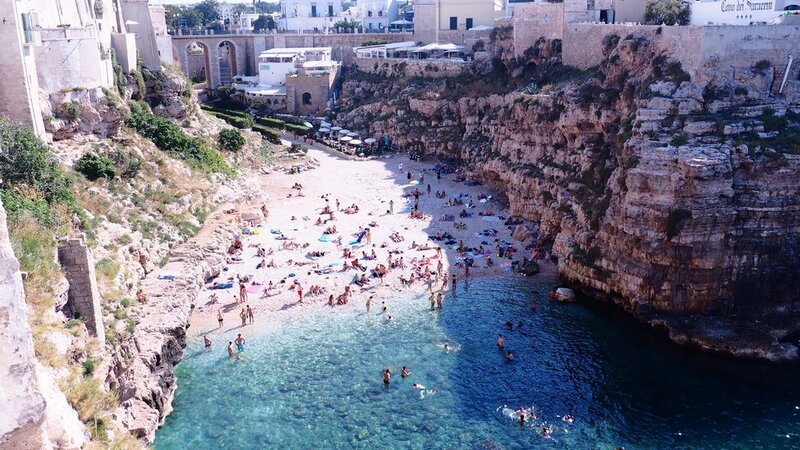 We’re just a short drive to Ostuni and 15 minutes from the Adriatic Sea. 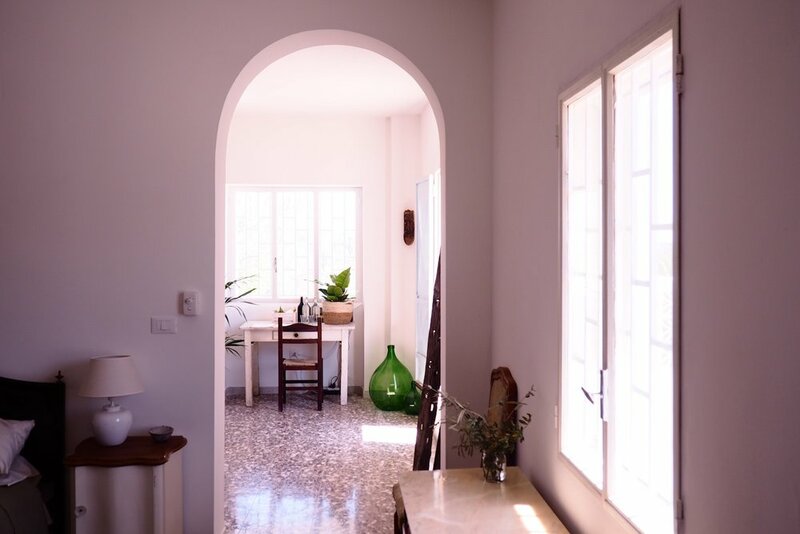 Operating as a bed & breakfast, we welcome guests with local wine and treats and provide a generous breakfast each morning under the citrus trees. We’ve created a space for you to have privacy but we are available always for conversation or advice on the area. Our home is a reflection of us: laid back and welcoming. 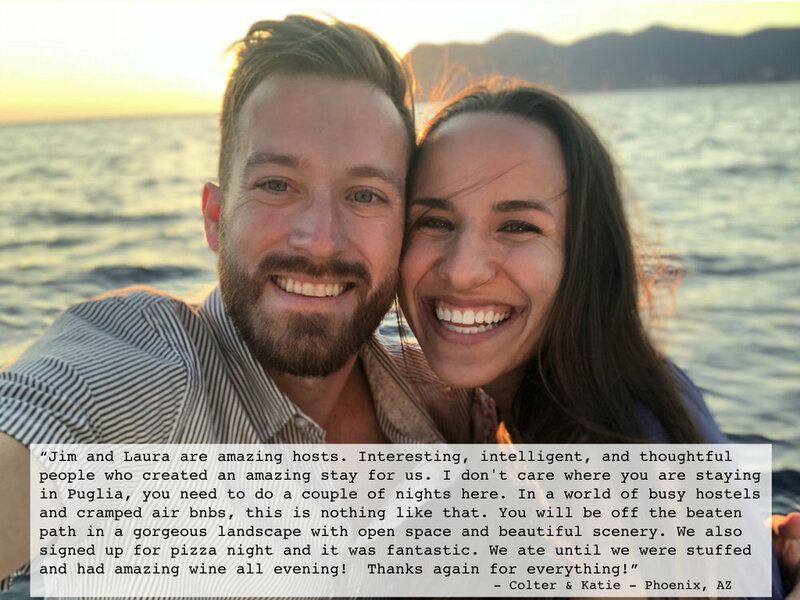 We make an effort every day to live as close as possible to the land and find often the guests that choose to stay with us have similar interests. In an attempt to reduce our footprint as much as possible, we collect the rain water from our roof into two large cisterns below our house. We use this water for our home, as we’re not connected to any main water line, and all of the used water is then recycled back into our land so as to not waste a drop. 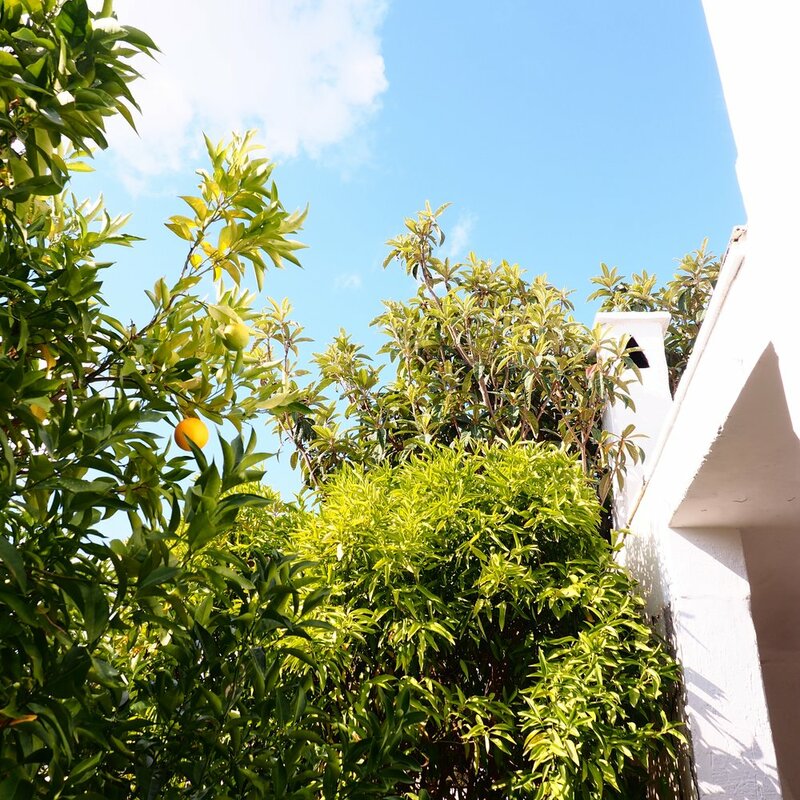 Depending on what is in season, we offer our guests access to our lovely vegetable garden and one of our many fruit trees, which includes: pear, apricot, cherry, fig, mulberry, almond, walnut, persimmon, orange, clementine, lemon and mandarin. Our effort is constant, and we enjoy sharing what we have with those like-minded individuals who enjoy quality over quantity and the importance of slowing down. The house is a two-level stone villa with two independent floors. 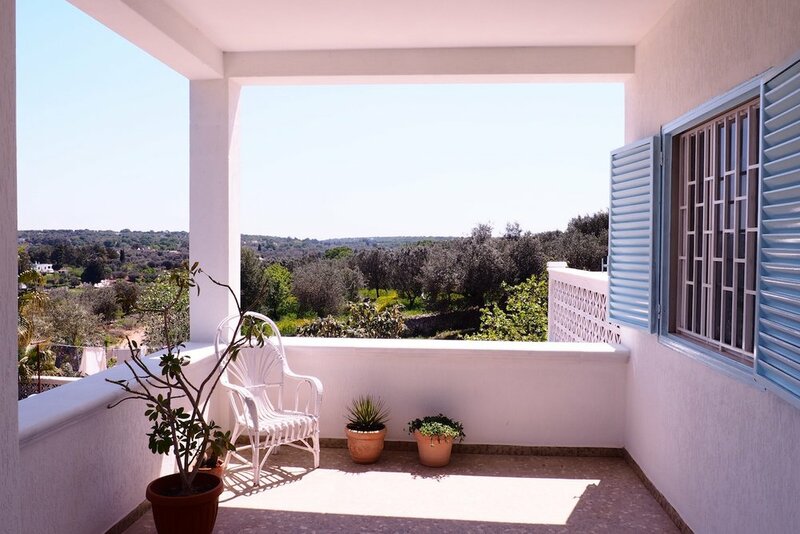 Our guests enjoy the private top floor and a large open air terrace with panoramic views of the surrounding olive groves. 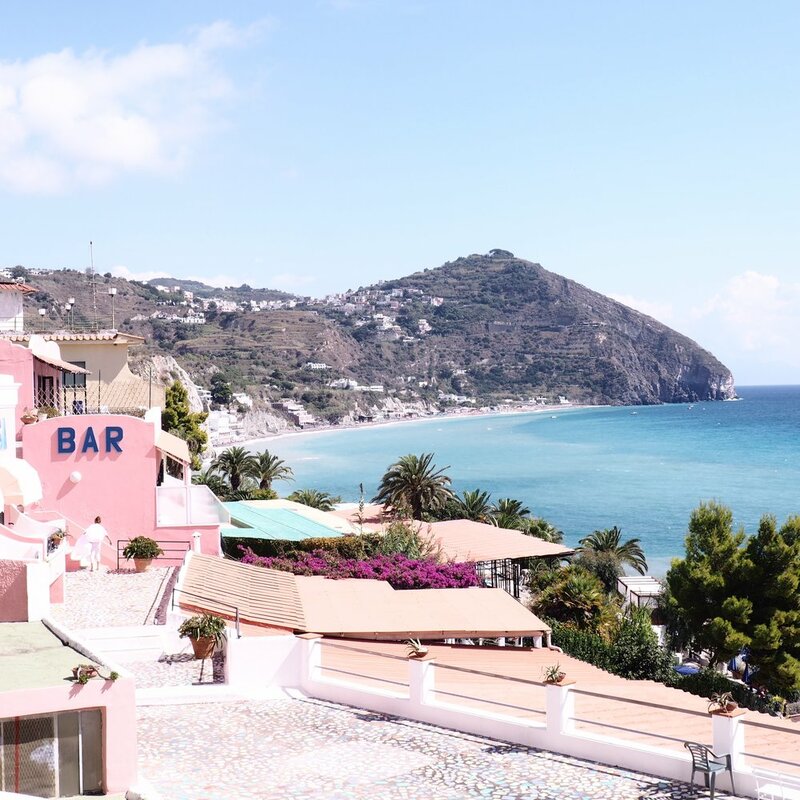 The terrace is perfect for soaking up the sun, relaxing with a wine and aperitivo at sunset, and plenty big enough for practicing yoga. There is also a private covered terrace and space under the olive trees to enjoy a bit of peace and shade. You will have the entire private top floor of the villa for yourself. The bedroom has a large window overlooking the valley and there is a a private bathroom. The living room is spacious and has direct access to both terraces. The entire space is filled with sunshine from sunrise to sunset. We also have a wood burning stove in the suite for the colder months, which allows the space to be available for rentals throughout the year. We do our best to provide as much as we can for our guests from our own land. Olive oil from our trees, homemade jam from this year’s harvest, local wine and eggs from the farmer down the road. 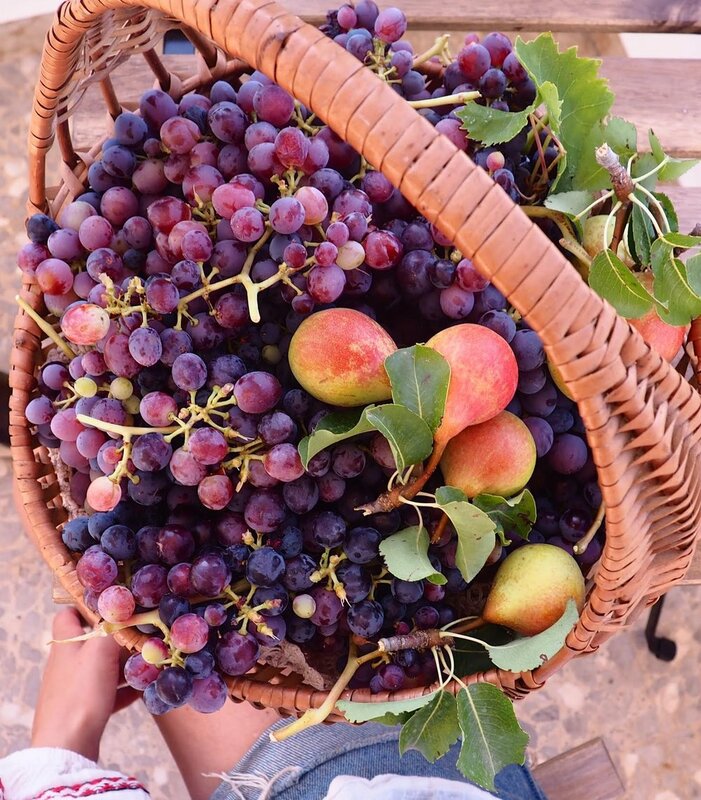 Whatever you are tasting will be from our favorite local organic farmers and producers. We are lucky to have fresh food at our fingertips here, and we are always happy to share our passion for high quality food and wine. We serve breakfast every morning, and have seasonal lunch and dinner options. 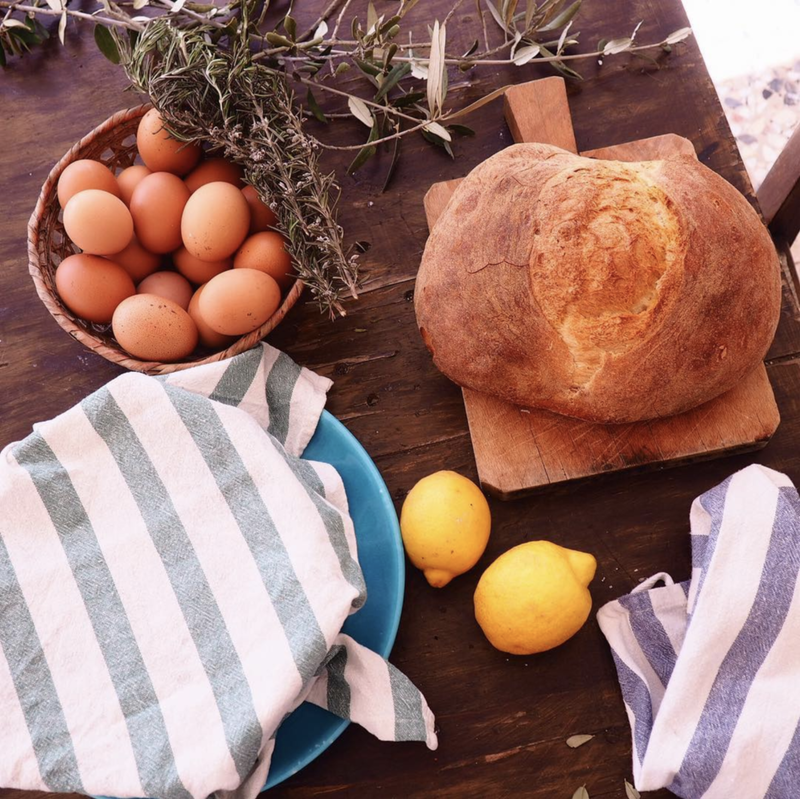 One of our favorite things to do with guests is make pizza together… we fire up our wood burning oven, gather all of the ingredients at the local market and have a pizza night full of wine with flavors created together. We have a beautiful piece of land with many fruiting trees as well as wild growing food to forage if you know where to look. 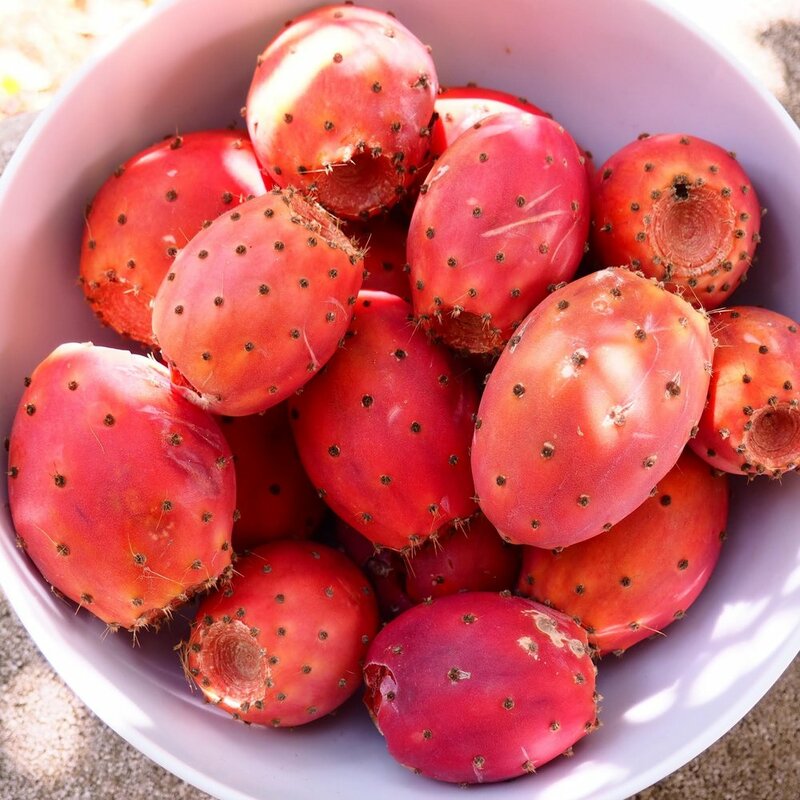 Depending on the season you can enjoy our figs, almonds, walnuts, cherries, oranges, clementines, lemons, mandarin oranges, persimmon, capers, grapes, apples, pears, peaches, apricots, olives, and even prickly pears from the cacti if you're adventurous. We also have an organic garden full of seasonal vegetables, melons, and herbs and never use any chemicals on any of our land. We can make fresh pressed vegetable and fruit juices in the morning and sample some of our homemade limoncello in the evening. For more than two guests:. 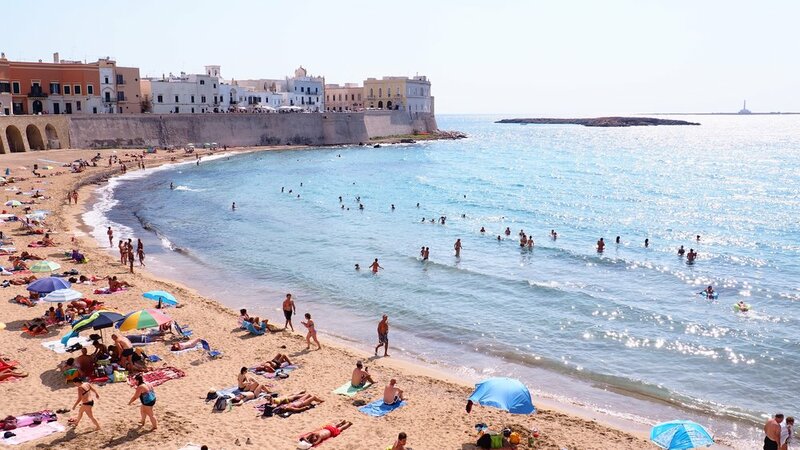 For guests who stay with us we offer day trips all over Puglia where we will drive you around and guide you on tours of the beautiful surroundings. 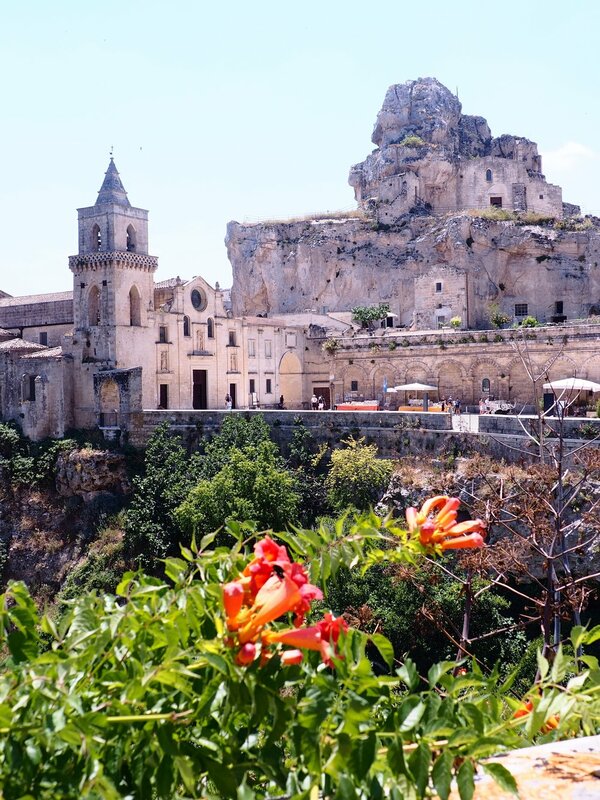 Everything from ancient ruins, beaches, gorgeous countryside picnics, vineyards, thousand year old churches, incredible fisherman run restaurants, and some of the best wine and olive oil in all of the world are right here in our back yard.